Now that the Rajya Sabha Chairman Venkaiah Naidu has dismissed the proposal submitted by some seventy -odd Opposition legislators to impeach Supreme Court Chief Justice Dipak Misra, the debate over the issue has to be extended beyond the legalese of the arguments in which our eminent jurists had been indulging all these months, into the arena of commonsense arguments where the wider public demand accountability. What is important is not whether all the allegations made against the Chief Justice can fit into the schematic framework of a formal impeachment motion, or whether the Rajya Sabha Chairman violated the norms by dismissing the proposal even before referring it to a three-member committee that he is required to do, or whether even if accepted, the proposal could have won approval in the House in the absence of adequate numbers. It is not important either to delve into debates over the divisions within the Congress party, or why some other Opposition parties refused to sign the impeachment proposal. What is important is the need to revive the essence of the debate. It springs from a wider area of public concerns, where the people cannot trust an apex court which is divided, and some of whose judges are under a cloud. Both litigants and common members from among the public, and some senior judges of the apex court itself, have expressed misgivings about some of the judicial pronouncements by the Chief Justice, and certain acts of his in selection of his peers in the composition of benches. To cap it all, on March 20, a Supreme Court bench headed by Justices A.K. Goel and U.U. Lalit came out with a judgment which diluted the SC/ST (Prevention of Atrocities) Act by doing away with its provision of mandatory arrest of those guilty of violating it. This led to wide spread demonstrations of protests by Dalits and their supporters from other communities. After dilly-dallying over the judgment (since it allowed the BJP’s upper caste followers to escape immediate arrest for their atrocities against Dalits), the Modi government in the face of pressures from the Opposition, finally submitted a plea to the Supreme Court seeking review of the March 20 judgment. The misgivings about the judiciary – which had been simmering in the minds of the common people – were given public expression by four senior Supreme Court judges in an unprecedented press conference in New Delhi on January, 2018, where they literally put their senior in the dock. It was soon after this that some Congress-led Opposition legislators submitted a proposal to the Rajya Sabha Chairman to impeach the present head of the apex court – which has been rejected. In the recent past, there had been several similar attempts to impeach judges who were accused of corruption in their private transactions, or misdemeanor in their judicial pronouncements. But such attempts fell through either because of lack of consensus among the MPs, or due to the preemptive move of the accused judges to resign in order to escape impeachment. 1 This is the first time however that a Supreme Court Chief Justice himself has faced impeachment, under a cloud of a series of allegations against him, some made by his colleagues. Even if the efforts to impeach him fail, some questions will remain concerning his record as a judge, which raise major issues about the yardstick by which such judges are appointed, and how should they be judged by the lay public. In a judgment delivered by him on November 30, 2016, Justice Dipak Misra made it compulsory for the audience to stand while the national anthem played in movie halls. But then, on October 23, 2017, a Supreme Court bench, of which he himself was a member along with Justices A.M. Khanwilkar and D.Y. Chandrachud, in a statement threw away his earlier judgment by saying: “People do not need to stand up in the cinema halls to prove their patriotism,” while observing that it cannot be assumed that if a person does not stand up for national anthem, then he is “less patriotic.” Justice Dipak Misra has not yet explained how he reconciled his previous judgment with the later one to which he was a signatory. He should have been honest enough to confess that his earlier judgment was wrong. Still later, on November 10, 2017, during the hearing of a case relating to allegations about bribes that were taken in the name of some Supreme Court judges to secure settlement in favour of those accused in a scam, the name of Justice Dipak Mishra also figured in the allegations. In all fairness, he should have had the sense of judicial impartiality to recuse himself from hearing the case – as many judges with a sense of self-respect had done in the past. His colleague in the Supreme Court, Justice J. Chelameswar, had earlier ordered the transfer of that case to a Constitutional Bench of the apex court. But another five-member bench selected and presided over by Chief Justice Dipak Misra junked his order. Wasn’t this an instance of the partisan selection of judges for particular benches, which he has been accused of by the four senior Supreme Court judges ? The most damning allegation against Chief Justice Dipak Misra was made by the former chief minister of Arunachal Pradesh, Kaliklo Pul, who committed suicide, and in his 60-page suicide note dated August 9, 2016, named Aditya Misra (Dipak Misra’s brother) as an extortionist who demanded Rs. 37 crores from him. 2 Till now, the Chief Justice has not clarified his association with his brother. “Our function is divine; the problem begins when we start thinking that we have become divine” ? Apart from such acts of judicial indiscretion, the Chief Justice has also quite often indulged in personal outbursts against veteran advocates like Prashant Bhushan on the floors of the Supreme Court, which have been recorded by the media. Such verbal onslaughts on lawyers in the course of hearings, do not behove the role that the Supreme Court Chief Justice is expected to carry out as an impartial judge. 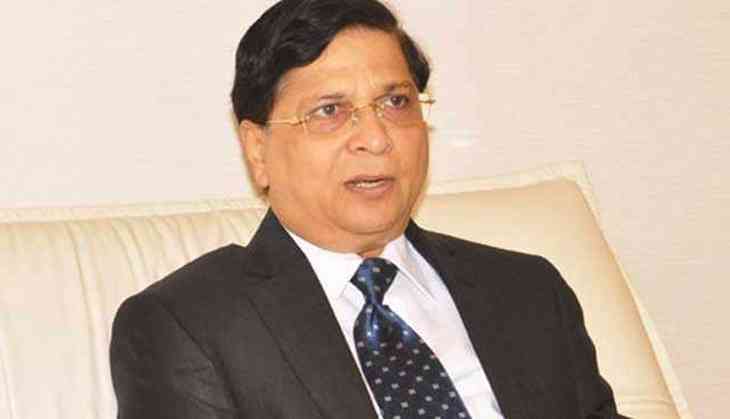 The bitter controversy that Chief Justice Dipak Misra got involved in, was over the demand for an investigation into the peculiar circumstances in which judge B.H. Loya died, particularly at a time when the latter was hearing the case of the killing of Sohrabuddin Sheikh, in which the BJP boss Amit Shah was accused as an accomplice. The demand made by a group of petitioners, for an independent investigation into the circumstances leading to Justice Loya’s death, was dismissed by a three-member bench headed by Chief Justice Dipak Misra stating that there was “no merit in the petitions.” This judgment again reveals his indecisiveness in taking a firm decision on a controversial case which involves allegations of attempts to bribe Justice Loya, who resisted them (according to the evidence submitted by his family members), and dubious medical reports about his death soon after that. Lest I be accused of personal criticism of the present Chief Justice, let me move beyond and look at the Augean stables of the Indian judicial system which produced him. The stables have housed judges who need to be cleansed of their egoist arrogance, political opportunism, caste-based prejudices, superstitious beliefs, as well as corruption in their private dealings and transactions, which quite often influence and determine their pronouncements. There is a long history of judges of our apex court who had shamefully let down our citizens in the past – starting from cases of those who acquiesced in Indira Gandhi’s imposition of draconian laws under Emergency in 1975, to the most recent exposure in 2010 made by the veteran Supreme Court lawyer Prashant Bhushan, revealing that half of the sixteen apex court judges operating at that time were corrupt. If judges of such low calibre rule our state high courts , and some even occupying seats in the apex court, what justice can our citizens expect from the judiciary ? While defending the Supreme Court Collegium’s right to appoint judges of its own choice, and its fight against the government’s interference in its decision-making process, we also expect the Collegium to be more cautious while scrutinizing the records of the candidate judges whom they recommend for promotion, and examine whether their judgments (at the lower courts) have violated the principles of our Constitution. The Collegium needs to clean and free its backyard from the judicial malaise created by those appointees of its – whether in state high courts, or the apex court – who are being accused of corruption, religious and casteist bias , and political alignment with ruling parties. A motion of impeachment on grounds of corruption against Supreme Court judge Ramaswamy, which was accepted by the Lok Sabha Speaker on May 10, 1993, failed to pass. Of the 401 members present, only 196 voted for the motion, while the rest abstained. Ironically, the Congress party which is today vociferous in demanding the impeachment of the present Chief Justice, at that time abstained from voting, thus allowing impunity to the accused judge. Still later, a Calcutta High Court judge, Soumitra Sen, accused of misappropriation of funds, was to face impeachment in the Lok Sabha on September 5, 2011. But he resigned on September 1 that year, thus escaping confrontation with parliamentarians.